Immaculate Home Improvements offer a professional supply and fit service for a range of elegant and stylish bathrooms. We pride ourselves on offering complete bespoke bathrooms, made with your Bournemouth & Southbourne home in mind. At Immaculate Home Improvements, we know that every area of your home needs to meet the same high standards of style and performance. Our bathroom installations in Bournemouth, Christchurch and surrounding areas are the ideal option for creating a luxurious and elegant space. We work with the prestige products from Roca to create our bathrooms, offering exquisite design and innovative features. You will benefit from a high-end finish and long lasting quality when you choose Immaculate Home Improvements for your new bathroom. Our approach is to use the very best, most impressive bathroom furniture, allowing you to enjoy a variety of features and benefits that standard bathrooms simply do not offer. Our bathrooms are spectacular, providing an exquisite place to relax and rejuvenate. The bathroom products we use are exceptional, offering a level of quality unmatched in the industry. The outstanding collection of bathroom products feature a variety of options to make your new bathroom truly special. We offer a variety of basins, baths, showers and toilets, including the cutting edge Smart Toilet which is an incredibly technologically advanced option. 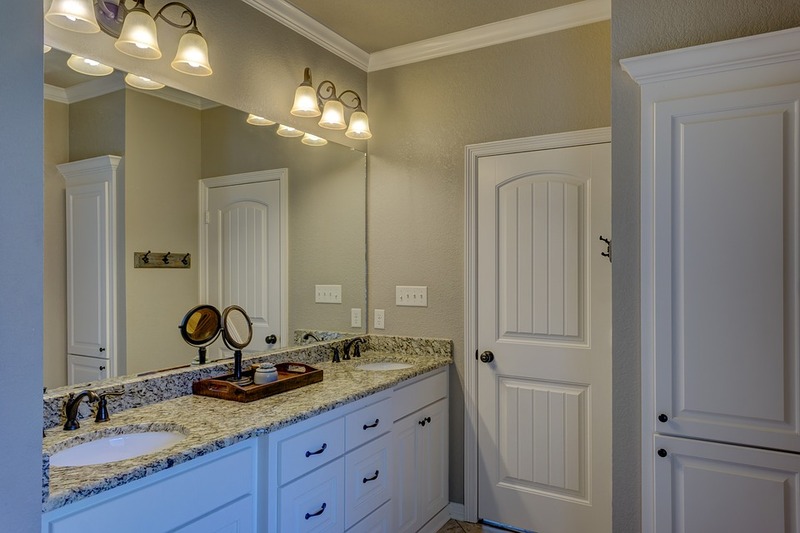 You can choose the ideal blend of style and practicality with our bathrooms, as we offer corner baths, rectangular baths and shaped baths, all of which come with the option of a whirlpool feature. In addition to this, we have the matching sink units, providing you with a stunning tailored look to your new bathroom. Our showers are state of the art and will help you to achieve the ideal shower to suit you. Choose from rain heads, jets and so much more with our incredible shower programmes. All of this is complemented by the variety of bathroom furniture, including robe hooks, soap dispensers, towel rails and even mirrors, all perfectly designed to blend in with your luxury bathroom. One of the many reasons we work with the Roca range of bathrooms is the commitment the company has towards eco-friendly living. We offer innovative environmentally friendly technologies which will help you minimise the amount of water you use each day. This is a superb feature for sustainability and if you are on a water meter, it could even save you money. Everything about our installations is aimed at making bathrooms as eco-friendly as possible. This includes the production process which is undertaken in such a way that their carbon footprint is reduced and they have a Zero Waste Programme to minimise the impact on the environment. 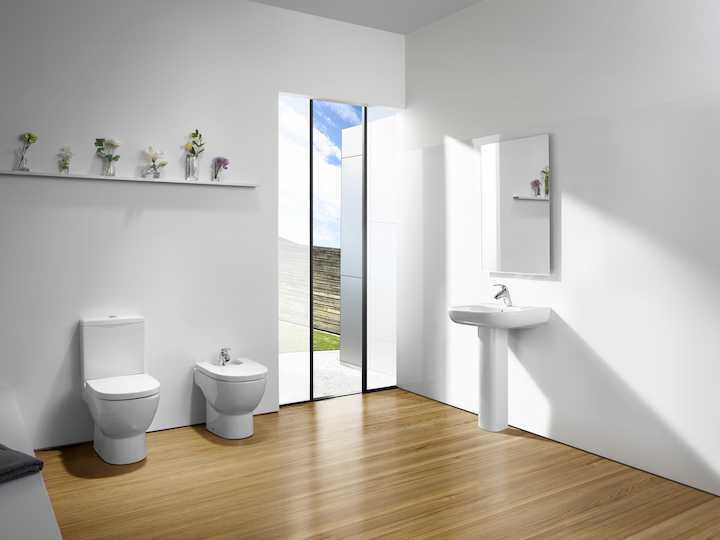 Your new bathroom to use in your Bournemouth and Southbourne home is focused on complete sustainability from production. It will help you to achieve an eco-friendly bathroom where you can relax whilst knowing you are doing the right thing for the environment. At Immaculate Home Improvements, we are experts in all areas of enhancing your home and lifestyle and our property transformations are simply exquisite. We will undertake every element of your bathroom installation in Bournemouth, Christchurch and the surrounding areas, helping you to achieve the perfect space for your home. From start to finish, you will be at the heart of our operation. We will work with you to help you create a bathroom which is practical, stylish and luxurious creating a room you can be proud of and your guests and family will love. Our installation team will ensure that throughout the work, we cause as little disruption to your daily life as possible and that the bathroom you choose is installed with efficiency and expertise. We pride ourselves on quality and perfection in all our home improvements, ensuring your new bathroom will meet the very highest standards. Personal Service – Customer service is hugely important to us, it’s behind every bathroom we install. We are with you from the very first enquiry, right through to the complete installation. Full Supply and Fit Service – Our staff take great pride in all work they take on, fitting bathrooms to the highest possible standard. We only use our in house team of professionals, we never out source. Great Prices – As we are a full service company, we are able to offer you the most competitive rates for your dream bathroom. When you choose Immaculate Home Improvements, you are in safe and reliable hands. Your Home – We know just how much you and your family love your house. When it comes to working on your property, we treat it with the utmost respect and care. Leaving the place clean and tidy after work. 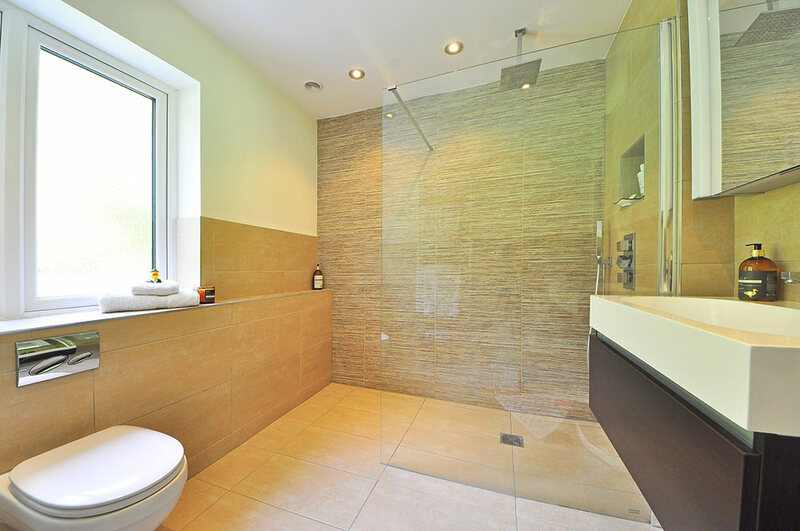 Helping you to achieve the perfect bathrooms in your home is key to what we do. Whether you are looking for a family bathroom, an ensuite bathroom of any size, or a guest toilet, we will be able to create the ideal match for your home and lifestyle. Our quality bathrooms are exceptionally priced, offering innovation, style and value in equal measure. We will design your new bathroom so it is bespoke to you, offering a quote which is tailored to your every specification. Contact us to find out more about our spectacular bathrooms prices in Bournemouth, Southbourne, Christchurch and the surrounding areas. Our team are on hand with friendly support and expertise.